Wow! you never cease to amaze me. These is what i call sushi bonanza. I love to learn how to make the coin sushi, they look beautiful. Well, what can i say this months challenge was wonderful. Although i'd admit, sushi is a staple at home but this challenge made me make some other ways to prepare sushi. And this challenge has demystified as to what sushi really is! Good job to both you and Rose. Yay! I can finally see your pictures! I've yet to do my challenge- it's going to happen today so I can post tomorrow- great job as always and thanks for co-hosting this wonderful sushi challenge! What a FANTASTIC post! I love all the pictures and detailed explanations and tips. Job SUPER well done! Last but not least - a very big thank you for your wonderful comment on my blog. It just made me day! Okay, first I have to say I can't eat anything that comes from the sea, so I'm kinda glad not t o be part of the cooks this month, but frankly for the sheer fun of rolling sushi I regret it. I especially love the sushis that have a design inside! Beautiful! It was SUCH an honor to do this challenge with you. 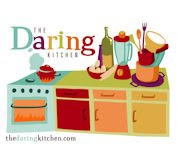 I cannot thank you enough for including me in the fun, unique Daring Cooks! The teamwork between us resulted in some very successful sushi. Your variety amazes me, as always! Thank you for exploring this often misunderstood and feared dish with me. 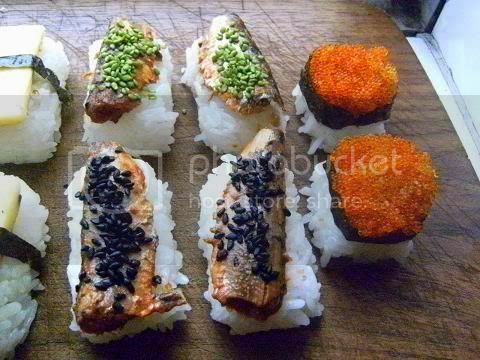 Hopefully, people will begin to see how fun & easy sushi is to make and that they can think outside of the box in terms of toppings & fillings! Wow - Your beautiful nigiri are exactly that. just breathtaking. thanks again for co-hosting this incredible challenge! Dave and I had an absolute blast with it. I always wanted to have sushi because it's so pretty, but never found anything I could really eat or enjoy. Now we'll make it again ourselves (and again and again)! Thanks for the coaching and the inspiration! tu m'impressionnes Audax ! c'est absolument fantastique ce que tu as fait, et tellement professionnel! j'aime les sushis...sans les feuilles de nori. WOW, WOW, WOW!!! It looks like you had a blast with all of this sushi! You could title this post "Everything you always wanted to know about sushi:)" Amazing little tasty works of art! 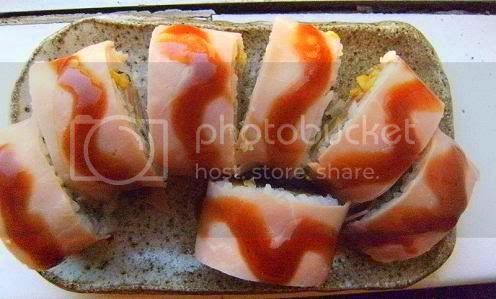 My husband loooooves sushi and would be in heaven at your house:) Kudos to you! P.S. I love the dragon! Wow, you are really skilled! Those sushi look fantastic and so beautiful! Very daring indeed! Gorgeous! Thanks for such a fun challenge. Your sushi is a work of art! Thanks for a really fun challenge and getting me to step outside my comfort zone! Thanks for hosting this month's DC Challenge! You and Rose did a great job and your variation, enthusiasm and pictures really provide a good example of sushi making as well as the spirit of being a member of the the Daring Kitchen. From now on I will just call you my little kitchen goddess. I hope that’s alright? You are amazing and I adore you. Thanks for this Challenge. It was great fun. oh the shame. It must be my PMS that made you a goddess, when you are a God. so please ignore me in the future. still love you. Wow what a lot of beautiful sushi, I particularly love the look of the whirlpool sushi! It was a great challenge, thanks! I love the one with the bunches of tomatoes, it looks like a deer, it's super cute and original! I loved making this challenge even half, but I preferred to make sushi caterpillar that seemed more complicated than the rest. Thank you soooo much for your feedback in my website. Thank you for such a fantastic challenge! You actually got me to like sushi =D. All of your sushi is stunning - such amazing flavours in there! I'm in awe! Wonderful! Too beautiful to eat! When you think of all the time, effort and love that goes into each sushi and you end up eating them in just one bite, less that 3 seconds! But then it's well worth it! Thanks for this challenge I really enjoyed it and I'm definitely making sushi rice the right way now, every time! Dear Audax, everytime you leave me speachless !! You work so much on the challenge and achieve such wonderful results ! Bravissimo ! How gorgeous does this all look Audax and it makes me sad that I haven't had time to do this challenge!! I might still make it a late entry if I manage to squeeze a little more time out of the day.. But I will for sure make it at some point as I would love to learn this! Audax, your creativity astounds me! Thanks so much for hosting my favorite challenge so far. All your sushi looks beautiful and I love your flavors and toppings! 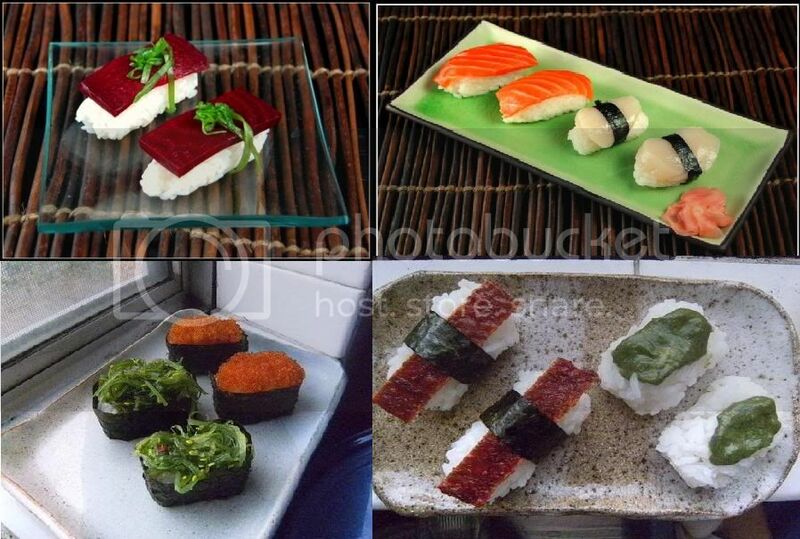 The nigiri in the very first picture is absolutely stunning - it looks like something out of a glossy food magazine! This month's challenge was wonderful. 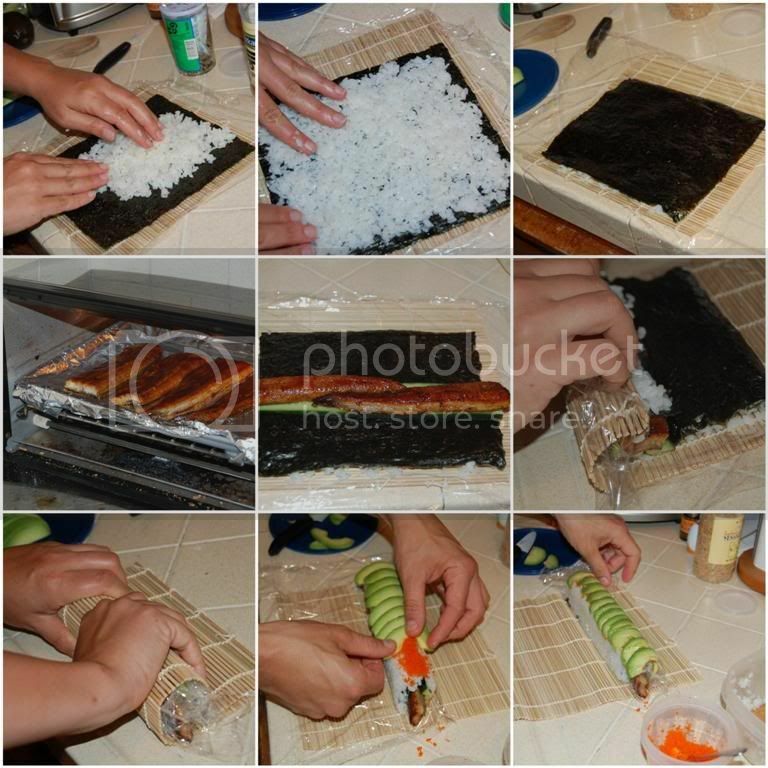 "e had so much fun with it and now home-made sushi will be a staple in our home. You and Rose have been such wonderful hosts, encouraging and helpful. Big thanks! I am book marking this page. Your sushi is wonderful and creative. Thanks for all your help on this challenge. What can I say... Astonishing. 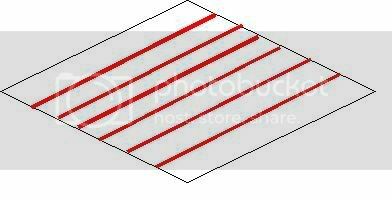 I have spent 10 minutes scrolling up and down only to look at the pictures. You really can make incredibly beautiful sushi. ¡Enhorabuena! Very impressive Audax. Seems like everything you are interested in is thoroughly researched, planned and enjoyed. A truly bountiful harvest. I think you eat life Audax with much passion! I don't think I have ever seen sushi as beautiful as yours. And your photos are magazine perfect! WOW! your sushi looks amazing! I am just starting to eat sushi and would really like to try making it. Amazing job! I think the word is 'stunned'...I am stunned into silence. Amazing! 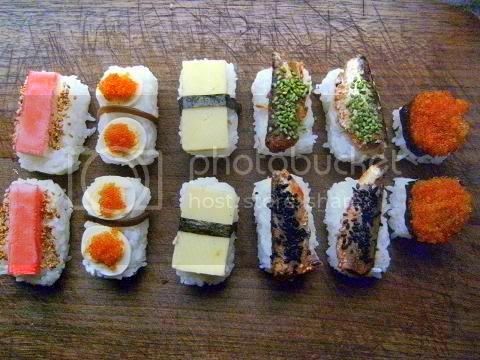 Your photographs are absolutely incredible and after traipsing around looking at all these sushi blogs in this challenge....I am just going to stop here...wowsa! Thanks for hosting with Rose! 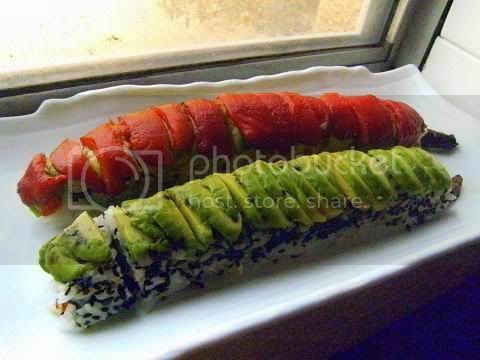 I am in awe of all of the different sushi rolls that you made! ohhh... to have your creativity. thanks for hosting this month's challenge, by the way. I loved making the sushi.so fun! Your sushi is perfect. Congratulations also photography is worthy of one of the best cookbooks. Stunning post! I wanted to thank you for having propose this amazing challenge. I have enjoyed a lot! You never fail to amaze me! Love all your wonderful creations! thanks for organising this month's challenge, I really enjoyed it. I'm in awe of the variety you've done, and just how inspired some of the flavour cominations are. And I'm absolutely bowled over by the presentation. 'Gorgeous' doesn't even begin to describe it. Particularly the really pretty ones (#6, I think you labelled them) - wow. Thank you so much for hosting this challenge, and for being such a patient and knowledgable sushi sensei! Wow, I am so impressed! And so hungry after looking at those! Thanks for the directions...I was planning on having a sushi party, so I'll bookmark this to come back to. Are you sure you've never moonlighted as a sushi chef? these look so professional, I especially love the very first photo, so beautiful! When I saw your comment on my post it made me realize that in my rush I had forgotten to put in the blog checking line giving you credit for hosting. So sorry about that, it has been corrected! Your photos look amazing! I love all the creative ingredients you used like CHEESE! So unorthodox but I bet soo good! Your photos are making me hungry! 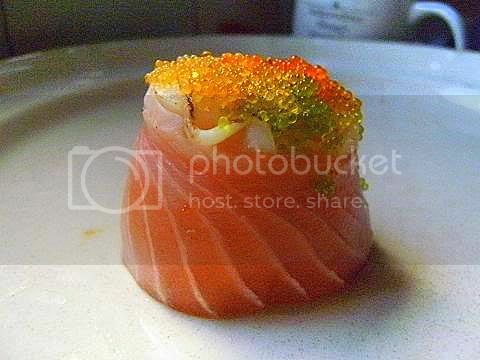 Audax - your sushi looks so amazing and your creativity is inspiring. Thank you for all your coaching and your comment on my blog! I never could have had such sucess without the research you and Rose provided. Everything looks dazzlingly delicious, wow. Audax, you are the best challenge host I have encountered. You worked the hardest and came up with the most possible variety to guide us all. Can't thank you enough for that! Kudos to you for your successful hosting. I like to see you do it again soon in the near future. Audax, what an amazing array of sushi you've created over the past month! The coin sushi are just stunning. Thanks for hosting such a great challenge! Aud, to put it simply, you are the sushi master. Your sushi is better than a ton I've seen in and around NYC. 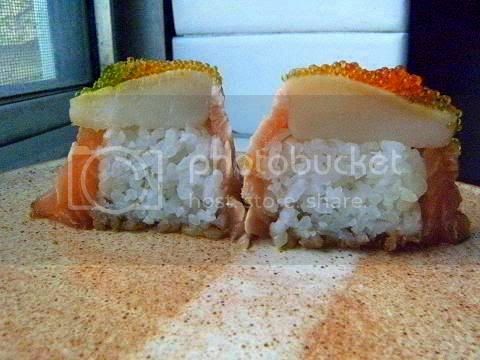 I can't stop looking at your photos and am especially taken with the coin sushi. That technique is far off for me. Also, your Dragon's are fire breathing monsters of magnifence, As always, you never cease to amaze me, and I can't stop saying that! If you lived near me, I would hire you to make the sushi for any parties or celebrations. You rock, Audaxsan! It's all so gorgeous! I love the original patterns and toppings! Audax, thank you so much for hosting this challenge and for your careful instructions! You are an Artist, not a cook! The first photo just knocked me down - you are amazing! Omg Audax, these are beautiful! I'm adding to my favourites. I love all the tips you provide :) Nice job man!! Your sushi looks amazing! Well done Audax! Thanks for your comments, but I guess I'm my own worst critic, just because I know I can do better - you already know that perseverance makes perfect!! What an AMAZING post!!! That sushi looks incredible - you're an artist!! Wow! You've really gone all out! 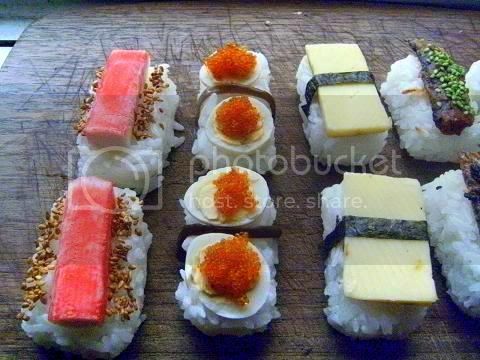 Your coin sushi looks amazing and I love the idea of the hotdog sushi rolls - so cute. Thanks for hosting the DC challenge - you've done an outstanding job. OOOOOOH THANK YOU so much my dear friend Audax I am so honored for this gift, I actually jumped of happiness, they look so so beautiful. All the pictures are spectacular I LOVE all of them. Thank you for a wonderful challenge! 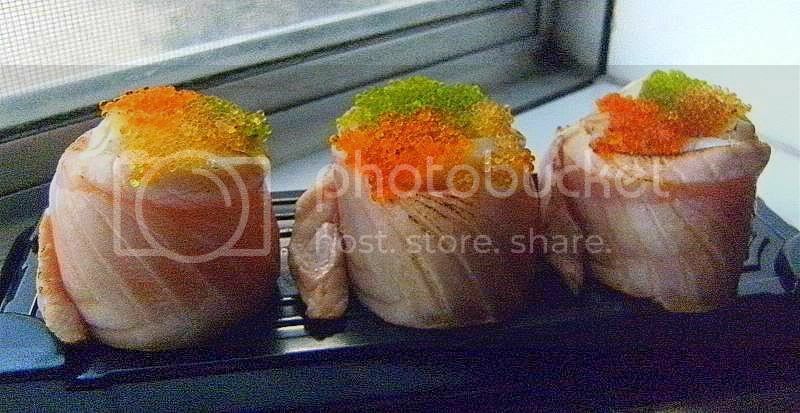 Those are the loveliest sushi I've even seen, vinegared hands down! I'm glad I didn't see your pics before I tried to make my own, or I would have been too intimidated! Thank fightextraweight.com you for nottooheavy.com your comment, goslimquick.com carry on writing the exact same subjects, I would certainly like to see extra stuff you.